Recommendations: Ideal location if you're into glitz, glam and want to stay inside the Disney World property. For our Disney vacation, we decided to luxe it up and stayed at the fabulous Walt Disney World Dolphin Hotel. 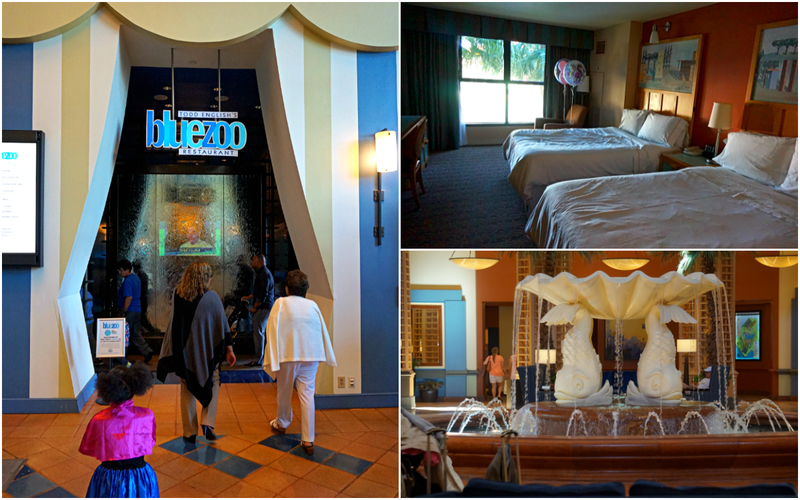 With deluxe accommodations inspired by Florida itself, Walt Disney World Dolphin Hotel is pretty incredible. If you're a fan of architecture, the hotel itself is gorgeous. The roof of the hotel boasts the iconic twin stylized dolphin statues that have come to be synonymous with the hotel. Inside the hotel, there are several restaurants, a spa, and a supervised children's play area. Outside the hotel, there are several amazing pools (one of which includes an incredible waterfall) paddle boats and a bar. The hotel rooms are spacious and offer a gorgeous view of the grounds below. 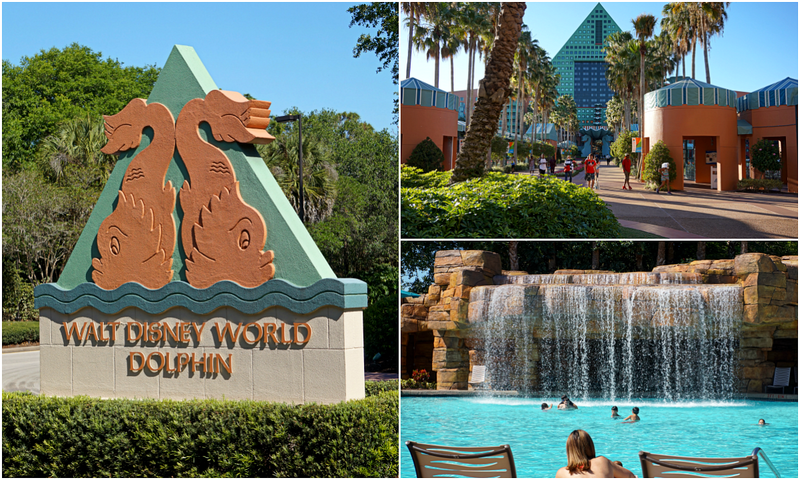 If you're planning on visiting Disney World with your family in tow (or even without) The Walt Disney World Dolphin Hotel is definitely worth checking into. 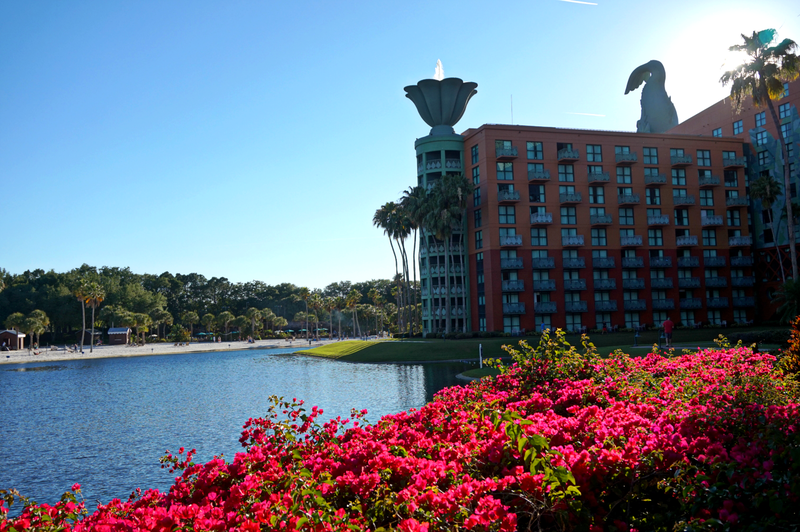 Because the Dolphin Hotel is a Disney Hotel, it offers hourly shuttle service to the park and offers guests those magical "extra magic hours" that we all have come to love. Recommendations: Only available to members of the armed forces. BOOK EARLY! While didn't have the opportunity to stay at Shades of Green because it was booked, this definitely deserves an honorable mention. Shades of Green is the ONLY, let me stress this again, ONLY Armed Forces Recreation Center in the continental U.S. The resort is available for use by U.S. military members and their families, and even some other government employees at a significantly reduced rate. Located within Disney and across from the Polynesian Villages Resort, it is the PERFECT location for being a non-Deluxe resort. Shades of Green is also located right next to a premium golf course that offers reduced rates for military. There is also an on-site spa and a plethora of dining options. Though I was incredibly bummed that we missed out this time, for our next trip, which will likely be much longer, Shades of Green is a must. Recommendations: Prepare to do A LOT of walking. But you'll be having such a wonderful time you won't care. Book character dining meals well in advance. Bring an empty water bottle. Oh, and always bring a poncho. We started off the festivities in Magic Kingdom. 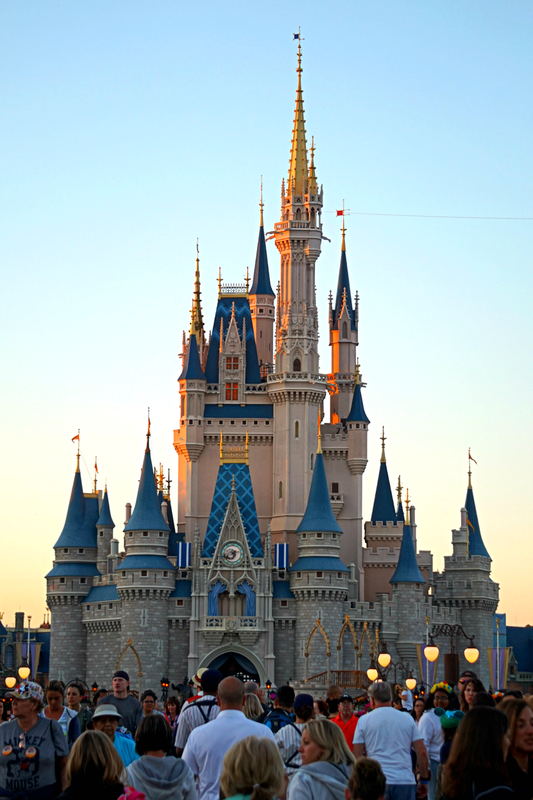 If you're unfamiliar with Disney World, Magic Kingdom is often referred to as the "true essence" of Disney World. It basically caters to people of all ages, which makes it the most family-friendly park in Disney. 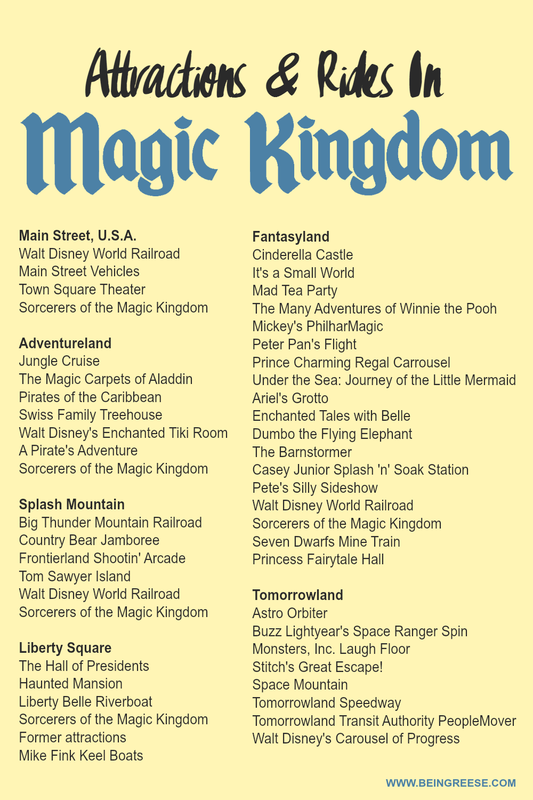 Magic Kingdom is broken up into seven main sections: Main Street USA, Tomorrow Land, Frontier Land, Liberty Square, Fantasy Land, Adventure Land, and Mickey’s Toontown Fair. 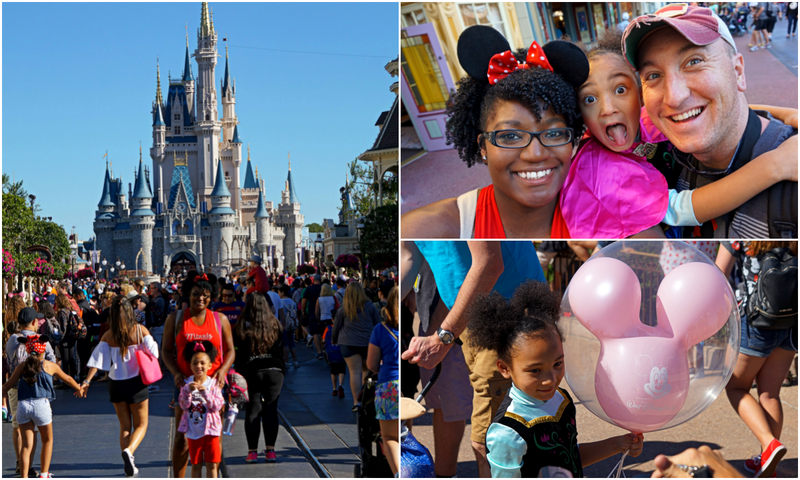 If you're planning on visiting Magic Kingdom, plan to make it 2 day, possibly 3 day adventure. Between the myriad rides, shows, gardens and character-themed meals on offer, there's no way you can get through it all in a day. We kicked off the festivities in Magic Kingdom with Big Thunder Mountain. One of the things I've come to most appreciate about Disney is the actual time you spend on the ride itself. Unlike most amusement parks, with Disney, your ride experience is long enough to actually be worth it. Big Thunder Mountain is at least 4 minutes of pure thrill and is PERFECT for kids at least 3′ 4″ or taller. 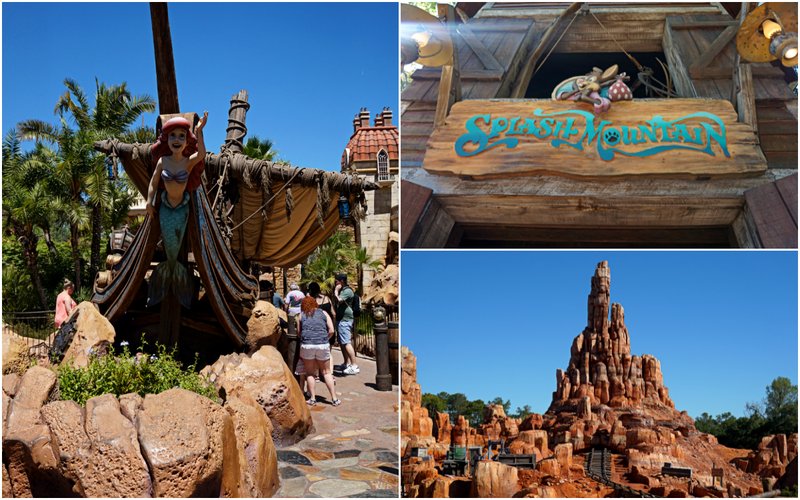 Other notable rides include Space Mountain, Splash Mountain, Under the Sea and The Seven Dwarfs Mine Train. Because Magic Kingdom can be a daunting experience if you're going in unprepared, I've put together a downloadable printable for you to carry with you during your Magic Kingdom stay. This current list of rides and attractions can help make sure you take in all the major sights, and save time in the process. Again, Magic Kingdom should NEVER be attempted in one day. It's absolutely massive and if you plan to really savor your time, Magic Kingdom will take at least 2-3 days. If you're heading to Magic Kingdom soon, be sure to check out this awesome post by Tammilee Tips with 16 Disney Magic Kingdom Secrets to look for once you get there! 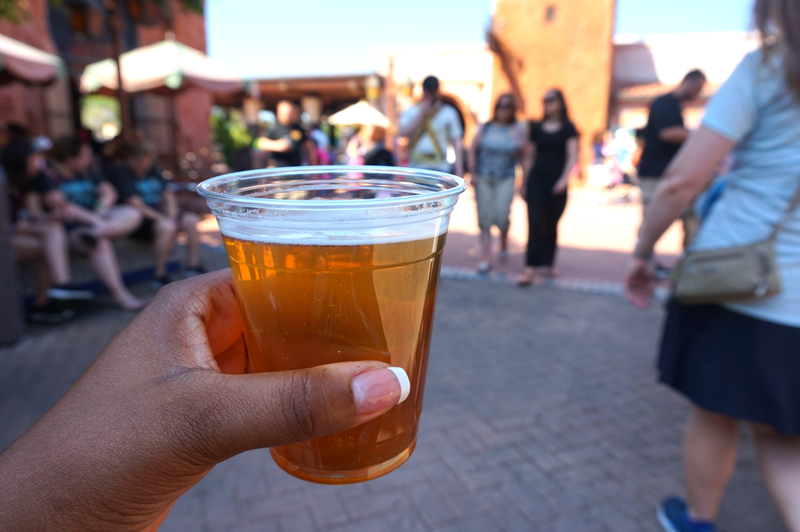 Recommendations: While still incredibly family-friendly, Epcot is geared a bit more towards adults. Epcot is more than twice as big as the Magic Kingdom and Disney’s Hollywood Studios so be prepared to do quite a bit of walking. In Epcot, it's all about the countries. There's not enough space on my blog to go in to depth about each country, but if you're planning on visiting Epcot, know that you're in for a huge culture shock, but in an awesome way. Unlike Magic Kingdom, Epcot is less about the rides and more about the attractions. The main attraction of course being the World Showcase. The World Showcase is an ongoing World’s Fair that's spaced along a 1.2 mile long promenade. If you are a foodie, this is THE place to be. The cuisine, culture, history, and architecture of almost a dozen countries truly makes you feel as though you are traveling from country to country. As an avid lover of all things Aladdin, spicy food and flashy colors, Morocco has all that in spades. World Showcase aside, Epcot still has some fantastic rides. If you're a fan of the movie Frozen, you'll find the most popular ride in Epcot, Frozen Ever After, tucked away in Norway. 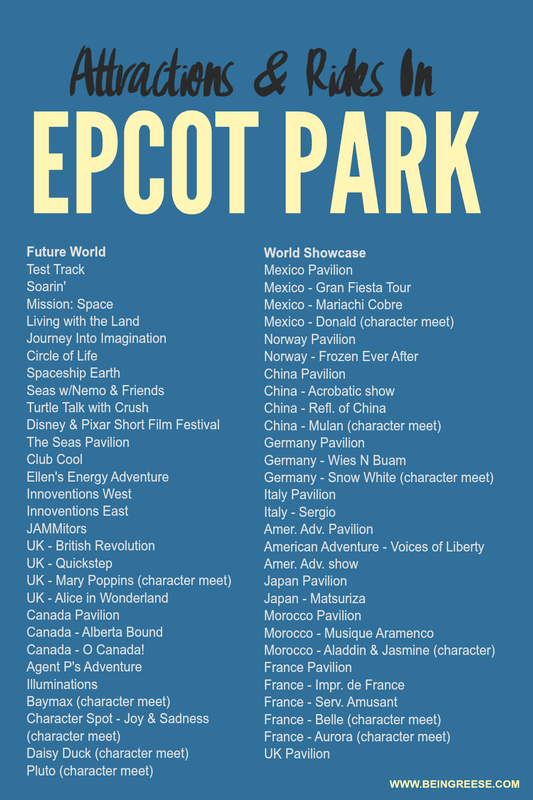 In addition to Frozen Ever After, there are TONS of super fun rides in Epcot, but if you're having trouble narrowing down the list of rides you want to check out, be sure to take a look (or print) the list below as a reference. Epcot is also another park that will take an average of 2 days to complete. 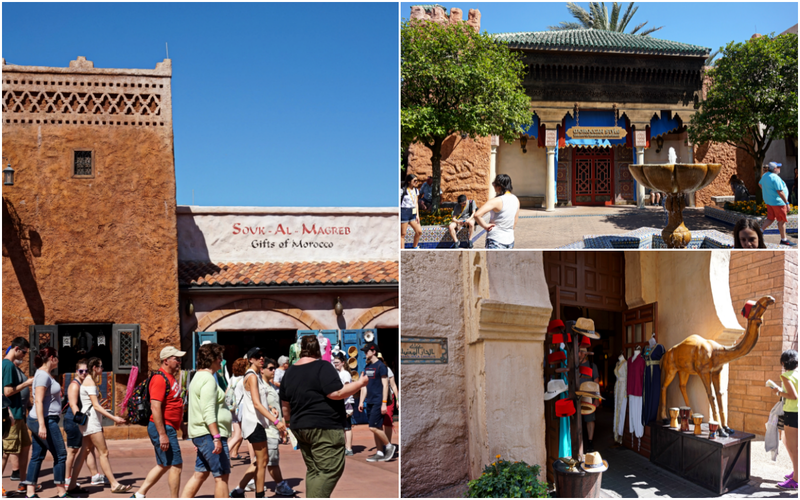 If you really want to enjoy your trip and take in the various sites and cusines throughout the World Showcase, expect to spend an average of 1 hour in each country. 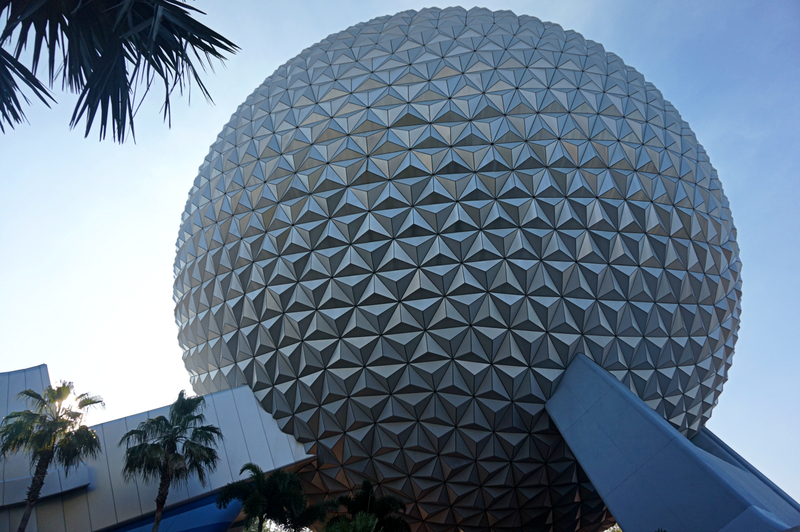 Once you factor in all 11 countries and the rides, Epcot is not to be taken lightly. 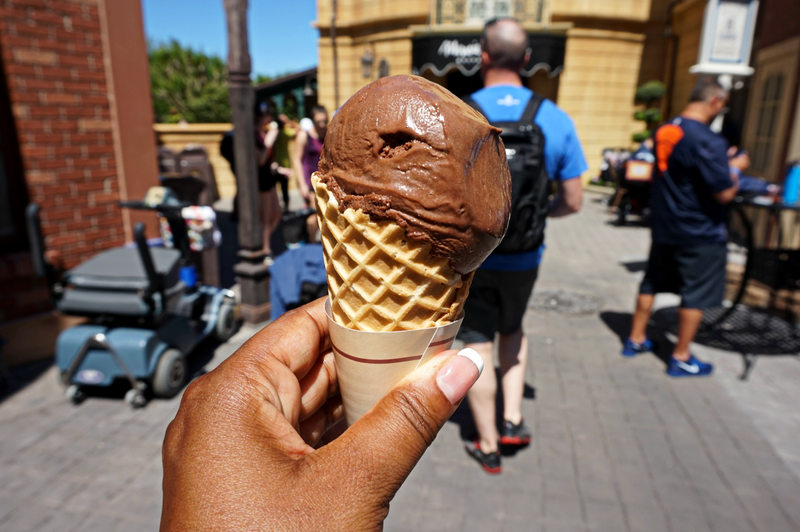 Recommendations: On the real, Disney food is notoriously pricey. If you're really looking to save money, consider purchasing a meal plan and paying on it ahead of time, or eating outside the parks. Of course, we did neither of these things, but it was still worth every penny and then some. As I mentioned before, Morocco was hands down our favorite country. Mr. A and I are currently planning a family trip there as we speak (to the actual country of course). Part of this was because of the incredibly delicious food. However, I am going to lead with a bit of forewarning, if spicy food is not your thing, you may want to consider checking out another country. For all of my spicy food lovers, keep your eyes peeled for the Spice Road Table. 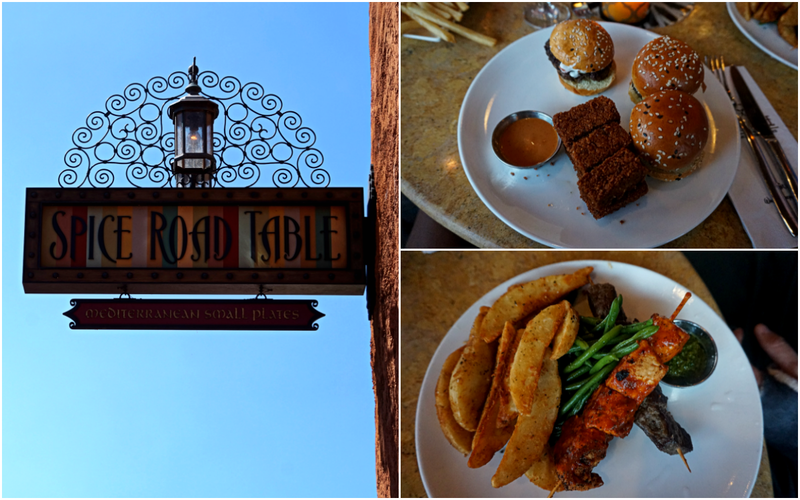 We managed to snag a table last minute and were treated to some of the best hummus fries we've ever had the pleasure of tasting; along with kabobs, lamb sliders, and of course a few delicious drinks to wash it all down. Heading back towards Magic Kingdom, keep your eyes peeled for The Sleepy Hallow Cafe located on the west side of the castle. 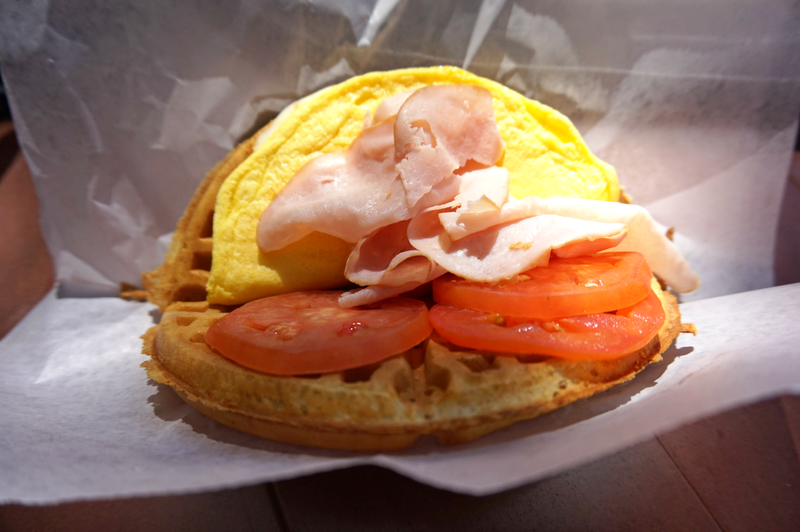 They serve the BEST waffle sandwiches we've ever had. 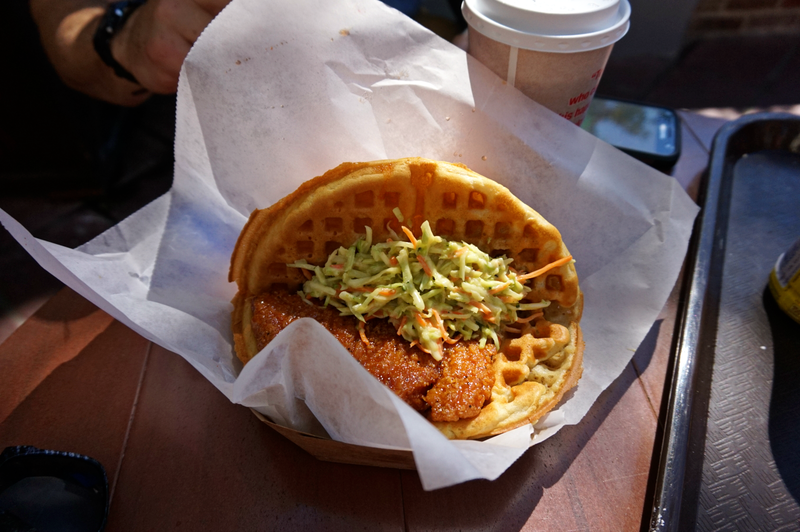 Which isn't saying much because I've never had a waffle sandwich, but it was pretty awesome, so I can legitimately say it was the BEST waffle sandwiches we've ever had. I kept it simple with a breakfast waffle, while Mr. A tried the Sweet and Spicy Waffle. Little J somehow ended up with a pretzel hotdog and chips. Again, with Disney, you can expect to spend a minimum of $12 per person per meal. However, if you're not into parting with your hard earned cash, remember, you can always leave a cooler filled with considerably less pricey foods in your car and leave the parks for a short break when it's time to eat. You can also purchase a meal-plan ahead of time and pay it off before you even arrive, leaving you more time to focus on fun instead of focusing on spending. Recommendations: Again, Disney is a bit on the pricey side, but if you've been good all year, now is the time to let loose the let the good times roll. 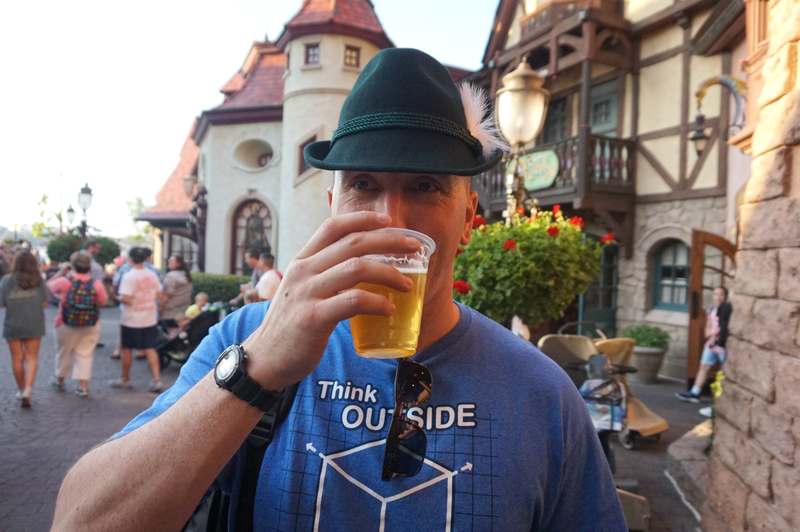 Okay, so having lived in Germany for more than 6 years, and having married a guy who has some serious German roots may have created an unintentional bias towards beer, but when it comes to the best place to enjoy libations in Disney World, Germany gets the prize. One of the things about living in Germany, is you learn pretty quickly that beer is a natural part of life. In Disney World, it's no different. The music is jovial. The beer is delicious. And if you can't spend $1,000 for a plane ticket to experience the real thing, definitely head to the Biergarten Restaurant in Disney to experience the closest you'll ever come to a sip of the real thing. 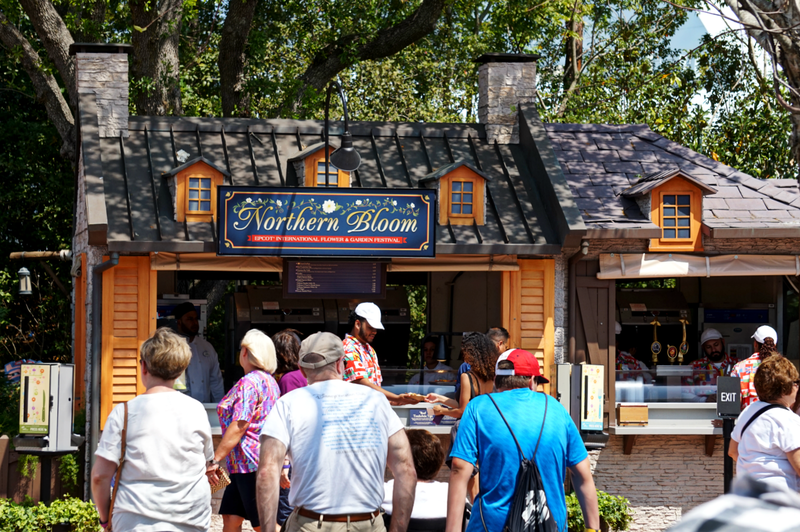 Other notable drink hotspots include the Northern Bloom, located in the Canada section of the park. They serve an amazing Maple Syrup infused vodka smoothie that was so delicious that I actually neglected to take a photo of it. I know, bad blogger. I did manage to snap a shot of the exterior, so be sure to keep your eyes peeled for this kiosk. So that's it.. For now. Keep your eyes on my Disney Page for some awesome resources to cure your Disney obsession and help you plan your upcoming Disney vacay. As always, if you found this post useful, feel free to Retweet here or Repin here to save for later or share with friends and family. It was super yummy, but the sweet and spicy waffle came with a layer of syrup, so don't count that one out :) Good luck with the planning. I hope you get a chance to go to Disney World! We are planning our Disney World vacay for the end of summer. This came just in time for me to ad to our short list. I am so excited you all look like you had a blast. My kids have no idea how amazing this trip will be. Yay! End of the Summer is perfect. By then it will have cooled down a bit. Enjoy your trip! The Dolphin Hotel looks so nice! I've stayed at the Pop resort and it was very family friendly! I can't wait for my next trip to Disney. It's so much fun and totally makes me feel like a kid again. It looks like you guys had an amazing time on your trip! 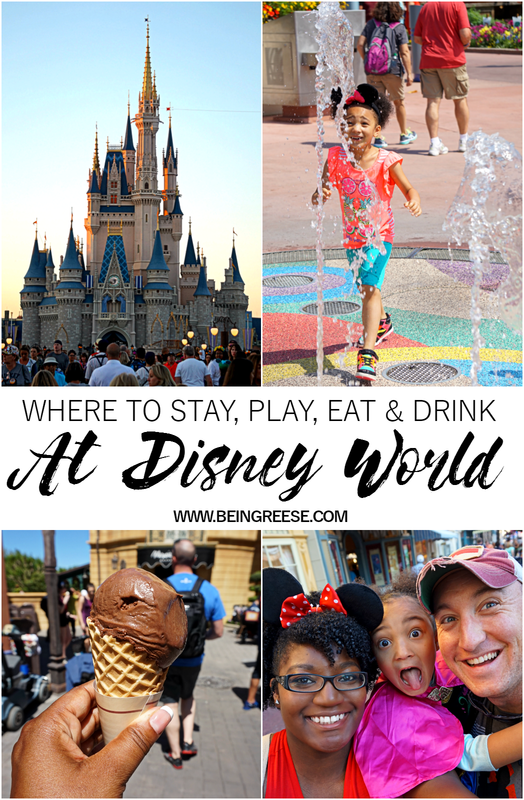 We also love visiting Disney as a family but who doesn't!? It looks like some things have changed since we last visited... shh don't tell my kids. OMG I am totally bookmarking this for our trip to DisneyWorld. It looks like you guys had the most incredible time on your trip for sure. So much great stuff to do, try and eat. Saving this post. Last year we went to Disneyland. I hope that we can start saving up for a trip to Disney world soon. Maybe in about 2 years. I think your info is really helpful. We love the Polynesian Resort and the Animal Kingdom Resort when we go. Epcot is great when it's just the two of you looking at the countries and "drinking around the world." I also love the safari at Animal Kingdom. WOW, love, love your photos! I am seeking to take my kids and grandkids this year to visit Disney. I think I would be the one running around visiting every place I can. That place is just magical! This is a great guide of everything Disney World! It looks like you had an amazing vacation! I am dying to take my son down there one day. I haven't been there since I was a teenager and loved it. I know it's probably changed so much since then! Your post made me smile. It looks like you guys had so much fun in the sun. Disneyland is awesome. I remember taking my kids when they were younger and can't wait to go back with my grandchildren! I love your disneyworld recap. Looks like a blast. The photos are stunning and I am working on planning my Adults Disney Vacay soon!